College students face many hard financial decisions. As a young adult, they are still figuring out how to pay for college, earn extra spending money, and still get a quality education. 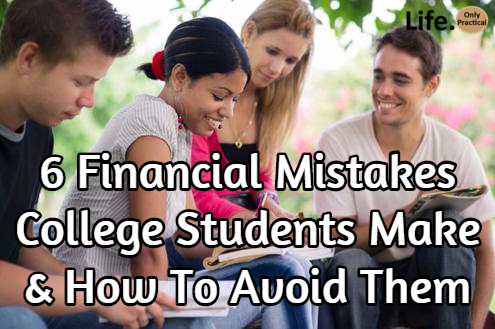 This is a tall order for anyone, so it is no wonder that many college students end up making some extremely costly money mistakes. Regrettably, these mistakes can cause damage that remains for decades, so making sure your finances are in order while in college can go a long way in helping you get a good start after school. For many people, credit cards have become a way of life. They make paying for things quick and easy and with many cards offering rewards programs or cash back, it is easy to see their appeal. The problem is that the appeal often outshines the drawbacks. Many cards have high interest rates, unfavorable terms, and allow students to spend more money than they actually have. In fact, if you get into the habit of only paying the minimum payment each month you could be stuck trying to pay off the card for over ten years! When students get credit cards, two things can happen: they don’t read the fine print and see what they’re paying. They use it until it’s maxed out. Since credit cards can play a vital role in establishing your credit history, that doesn’t have to mean that all credit cards should be avoided. Instead, credit cards should be used to help built a solid credit history and the balance paid off in full each month. This will allow you to still collect the rewards or earn cash back while not having to deal with finance charges and long repayment periods. While we’re on the topic of credit cards it’s important to highlight the dangers that can come with going into credit card debt. It is easy for college students to completely trash their credit history by just making a few poor choices. Negative remarks such as missed payments will remain on your credit history for seven years and trash your credit score. That one late payment you made back in college will be haunting you years after you graduate and are trying to get a loan for a new car or buy a house. It’s easy to make a financial mistake, but realize that those mistakes can prove costly even later in life. If you are going to utilize credit cards or other loans just make sure you make your payments on time and don’t get in over your head. 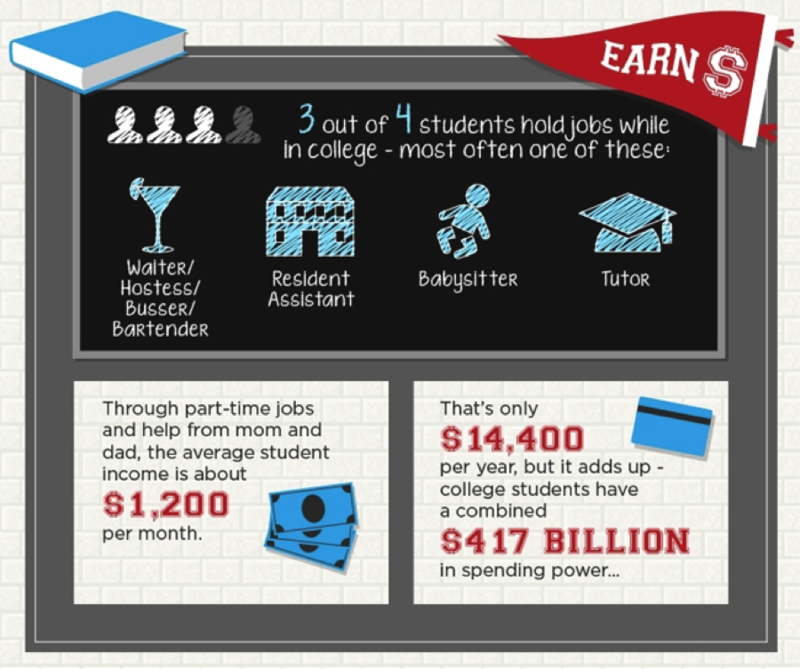 Does a college student really need to create a budget? You bet! In fact, this is one of the most important times to start budgeting. As a student it’s easy to get content when you don’t have a mortgage to pay, kids to feed, or other significant money worries yet. The problem is that students often have a limited income and if you are not careful, it is easy to waste money on things that you could otherwise save. Start by creating a simple budget. It doesn’t take long, but if you take the time to examine your income and where you are spending money you can get a better idea of where your money is going and where you are able to cut back. It has to work on paper before it will work in real life. Many students have to rely on student loans, and that’s fine. College tuition has gone up dramatically in recent years so it’s hard to keep up especially if you are paying for it yourself. If the loans are actually used for school expenses that’s one thing, but all too often students will use some of this money to buy things that are not essential for school. College life is full of opportunities to spend money. Using some of your student loan money to fund a trip to Mexico for spring break might seem fun at the time, but all you are doing is hurting yourself by digging a hole that you will need to climb out of after you graduate. A lot of students assume that student loans will be easy to pay off once they graduate and get a good job, but things don’t always work out that way. So, if you use your student loan money appropriately you can be sure that you’re only taking on as much debt as you need to in order to receive the education you want. Does the name of the school on your diploma really matter? In most cases, it will not matter where you get your higher learning. A lot of students have dreams of going to a prestigious school or a school out of state, but this may not be the best decision financially. When choosing a school, students need to determine whether the more expensive school is worth the price. With most careers, it may not matter as much where your degree comes from so spending an extra $100,000 on that four-year degree might not be the best use of money. Another option is to go to an inexpensive school for your first year or two and then transfer. 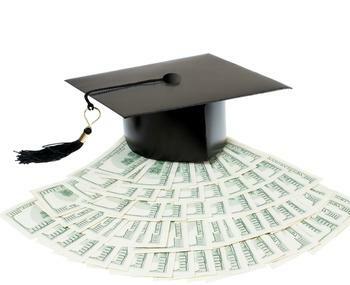 This allows you to save money and more time to build up additional savings to help pay for the rest of your degree. So, before enrolling in your dream school that you can’t afford, take some time to consider other options and see if you really need to attend that school to find the same job or if you can get some basic schooling done in your first year or two before transferring. It could end up being a savings of six-figures or more. Balancing a checkbook may be tedious work, but it beats bouncing checks and getting into trouble with the bank. Many banks charge a fee for each bounced check as does the store where the item was purchased, which makes it even more difficult for the student to get out of the red. Students should learn to balance a checkbook or if they are using online banking, look carefully at purchases made and their available balance. Students can also save money by learning how to comparison-shop and economize. Daily items like toothpaste may be available elsewhere at lower prices than students realize.